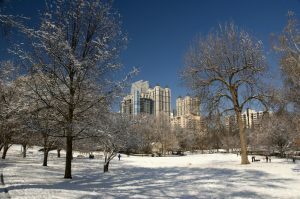 Though it rarely snows in Atlanta, the harsh winters in northern states drive natural gas prices. February cold is coming! Shop now! Start the new year off the right way by finding a cheap Georgia natural gas plan. We’ll make it easy – here are the three best natural gas plans for anyone living in Atlanta. Quickly switch your natural gas provider today to cut down on your monthly natural gas bills. But don’t wait! With plummeting temperatures coming, natural gas prices will rise! Probably the easiest way to make sure you’re paying as little as possible for natural gas is to lock in a low, low rate. Now is the perfect time to take on a new deal; low natural gas prices mean you have access to brilliant rates, including the Constellation 12 Month Metro Home plan that comes in at just $0.369 per therm. This is hard to beat – the next cheapest plan is 8 cents more expensive per therm. If you use a lot of natural gas then this plan could save you a lot of money over the course of a year. Constellation isn’t the only provider of cheap natural gas in the Atlanta Gas & Light service area. There are plenty of other marketers providing great rates – the XOOM Energy SureLock 12, for example, offers a competitive rate of $0.449 per therm. This makes their cost-per-therm comparable to the market-leading rates, and there are other advantages. XOOM Energy’s monthly service charge of $5.85 is cheaper than Constellation’s $6.95, saving you $1.10 per month. If you don’t use a lot of natural gas, or you’re cutting down on your natural gas usage, you may find that the lower recurring charge actually makes the XOOM Energy plan more affordable. Price isn’t the only thing to consider when looking at natural gas deals. You also need to know you’re doing business with a trustworthy, reliable company, which is why we’ve created an in-depth platform for reviews of Georgia natural gas providers. By combining real reviews from customers with third-party data and insights from professional bodies, we’re able to create reliable ratings for natural gas providers in Georgia. The SCANA Energy 12 Month Fixed Rate plan might not be as cheap as the Constellation or XOOM Energy deals, but the company is extremely highly-rated on our site. With an enviable 4.8 out of 5 stars, SCANA Energy has shown it’s able to exceed customer expectations. Now, with SCANA Energy becoming Dominion, we’re likely to see the same high level of service carrying on in 2019.